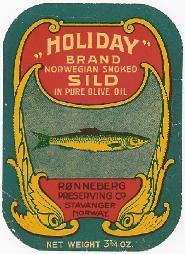 Pictures of some of the many labels from the products canned and preserved by the Rønneberg Preserving Company in Stavanger Norway. - Also checkout our TNG Photos Album. 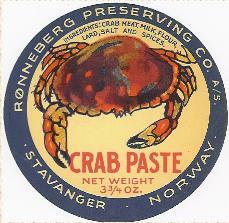 Tørres Rønneberg, in 1881, began his work in the preserving industry in Stavanger, Norway. 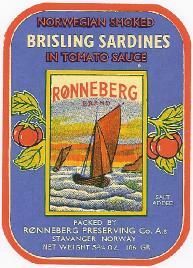 At first under other names and then later known as the Rønneberg Preserving Co. A.s, the company continued in business until 1975. 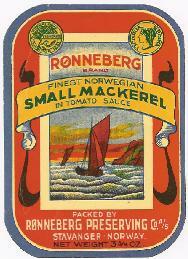 During that time Tørres Rønneberg was a pioneer and innovator in the canning industry. 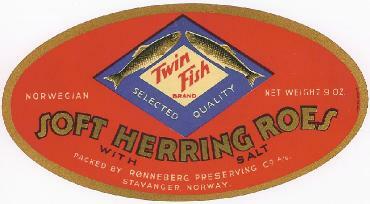 After his death in 1913, two of his sons, Arne and Eniar Rønneberg continued the business. 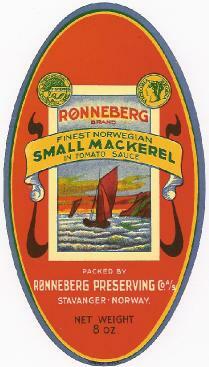 Shown below are just a few of the many labels from some of the products Rønneberg Preserving packed for export around the world. 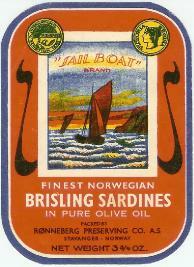 As a personal note, I can remember seeing cans of Sardines on the shelf of the grocery stores in Walnut Creek, CA where I grew up. 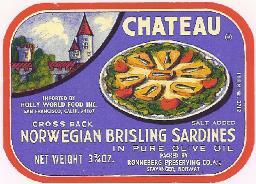 As a young boy, I was fascinated to see my name printed on the label. 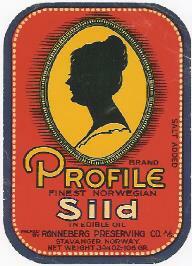 My thanks to Eivind Oanes for sending me these labels. 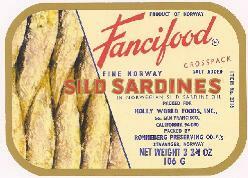 Visit the Stavanger Museum website in both a Norwegian and English version. It's actually five museums and departments under one name. One is the Canning Museum or Hermetikkmuseum. The website includes a History, Buildings, Collections, Research, Exhibitions and Contact Us sections. 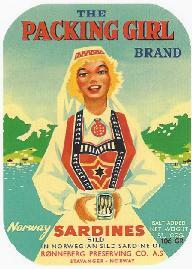 Our thanks to the museum's staff for their help in researching our family's history.